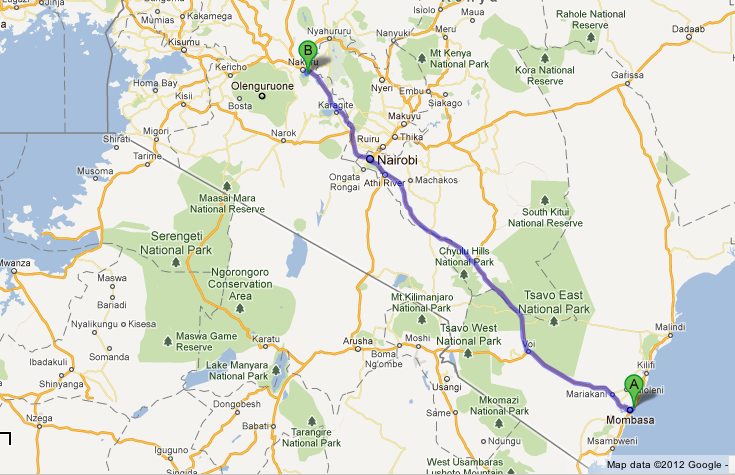 I’m going to attempt this live blogging thing today as mom, Tito taxi, and I make our way to Nairobi in the car. Almost exactly one year ago I did the exact journey, except in reverse. Don’t leave without me mom! Grrrr, that’s my annoyed dog sound. I tried to upload a photo but I guess we’re already too far away from Mwanza and so the connection is too slow. Don’t worry, mom’s taking lots of photos and will upload them just as soon as she can! We’re just past Kisesa, where mom works at the Health Center, and the sun is rising in front of us. It’s super pretty but also reminds me how early it is. This puppy needs his sleep! I just had my first cow sighting of the day and we all know how much I love cows…HOORAY! Our car problems have started just outside of Magu. 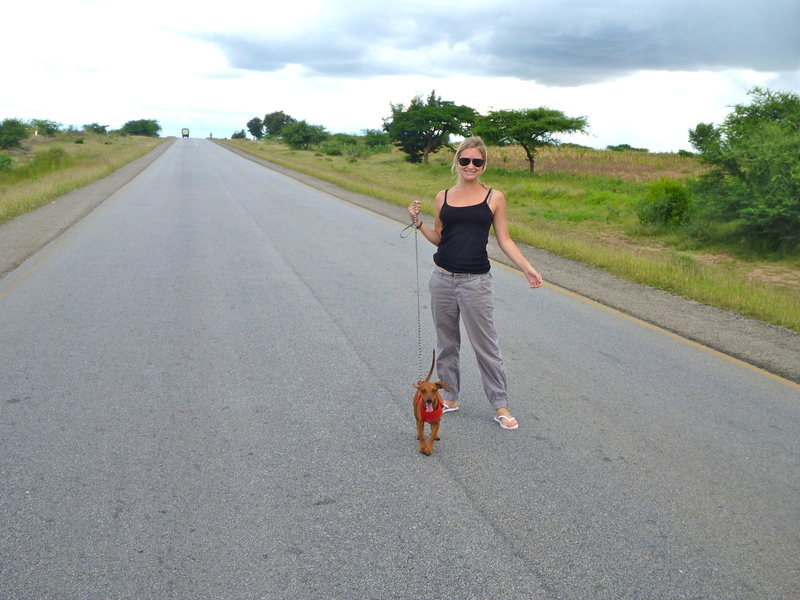 There was a funny noise as we went over one of the many speed bumps on the road from Mwanza to Sirari. Tito taxi pulled over and sure enough, the car was broken. Also, mom and I are a spectacle so we’ve gathered a bit of a morning crowd of assorted drunk men. Eww. The C-V joint on Tito’s car broke just outside of Magu so we had to pull over and Tito went to town to find a new car part. And my brilliant mother accidentally locked the keys in the car. So now we’re standing outside on the road surrounded by people who are fascinated by me and my mom. Wish us luck! Guess who got to see more cows while we were waiting for the car to get fixed? 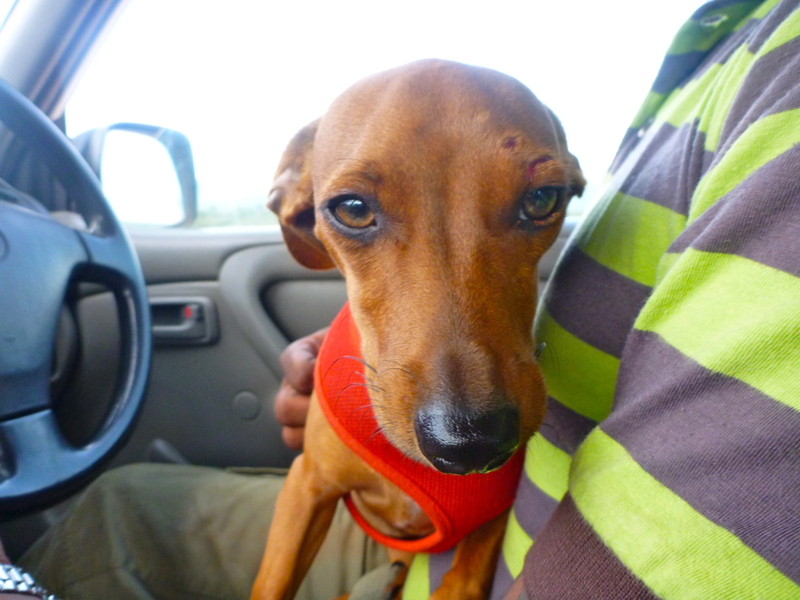 This little doggie, that’s who! 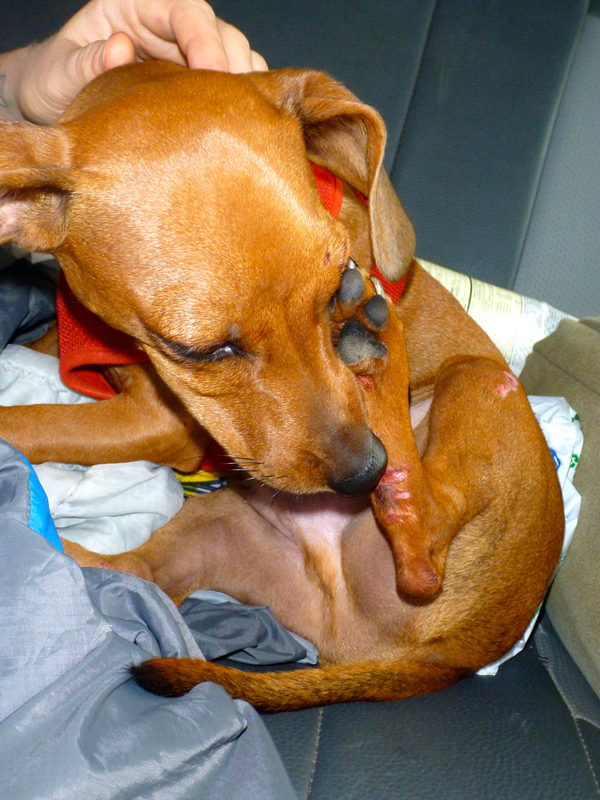 Oh, and then I tried to eat some of their poop, which got me in trouble with mom. Oops! Cows! And check out those horns. JEALOUS! While we were waiting for the car to be fixed (it’s going on 2 hours now), a nice man from a little shop nearby brought over some of the tiny fish called daga and let me have some. Amazingly enough, this is my first time eating daga since moving to Tanzania, even though most local dogs eat daga everyday. They were interesting. Salty and slightly crunchy, but I didn’t have time for breakfast before we left so they were good enough for me! We’re finally on the move again, YAY! We’re just now crossing the ‘Narrow Damaged Bridge’ which makes mom and I laugh every time we see it. HaHa, I wonder how long this bridge will stay damaged? Now we’ve passed Speke Bay, one of my favorite places in Tanzania. Too bad we can’t stop in and say hello to everyone. They’re also doing roadwork in this area and we have to drive on a dirt road (I’m unsure if you can actually call it that). This road gets Tito taxi’s car all dirty, something which really, really annoys him. We’re driving past the Serengeti Western Corridor gate. I really wish I can go inside, because I love me some animals, but I guess I’m too much animal for a National Park. Zebra sighting. This basically makes my day. We’ve finally arrived in the border town of Sirari. Mom and Tito taxi do something at an office while I wait in the car. Lots of people gather around to stare at me, so i go and I hide underneath the seat so they can’t make fun of me. It took us almost an hour to do all the nonsense required at the border and we’re now on the Kenyan side of the border in a town called Isebania. 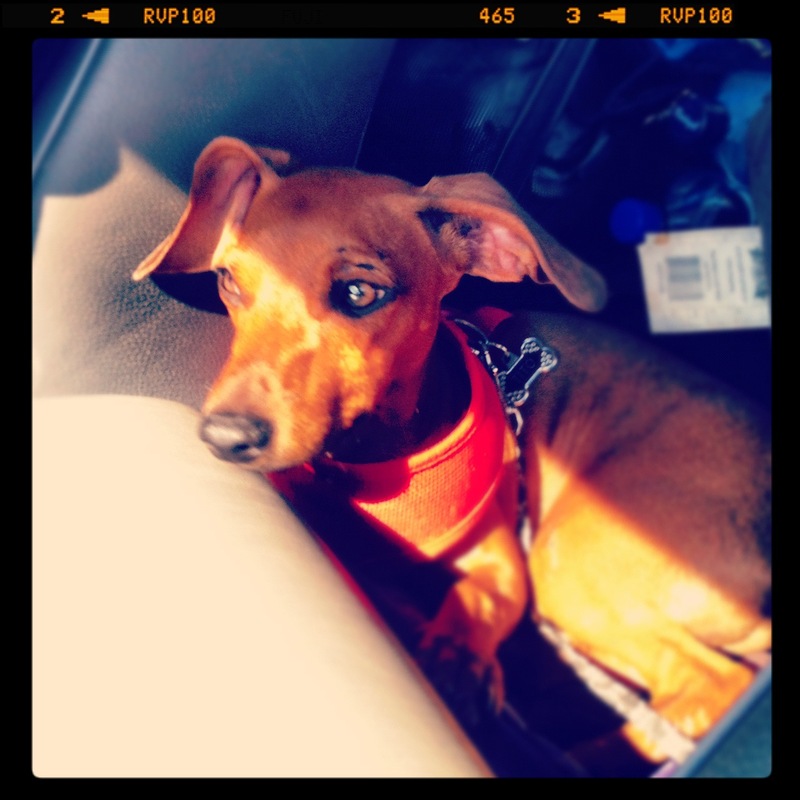 Mom and Tito taxi had to go and do more stuff in another office and again I had to stay in the car. Then they went to a funny little office where mom argued with a man about something and eventually forked over some money. He then proceeded to sit behind a weird, loud machine and made a paper that Tito taxi had to keep with his car in case there was an accident. They also made me go to the Veterinary office where they looked at all my paperwork. Mom told them that I was healthier and better vaccinated than any human who crossed the border so they sent us on our way. There’s Christmas carols on the radio in Kenya. I almost forgot this is why mom and I are going to America! A crazy or drunk person (or maybe both) jumped on our car in a town called Sotik. I did not like this man so I barked until he got off and was chased away by some other people outside. We’ve been driving for 12 hours now, but then we see a double rainbow and all of us are instantly happier. 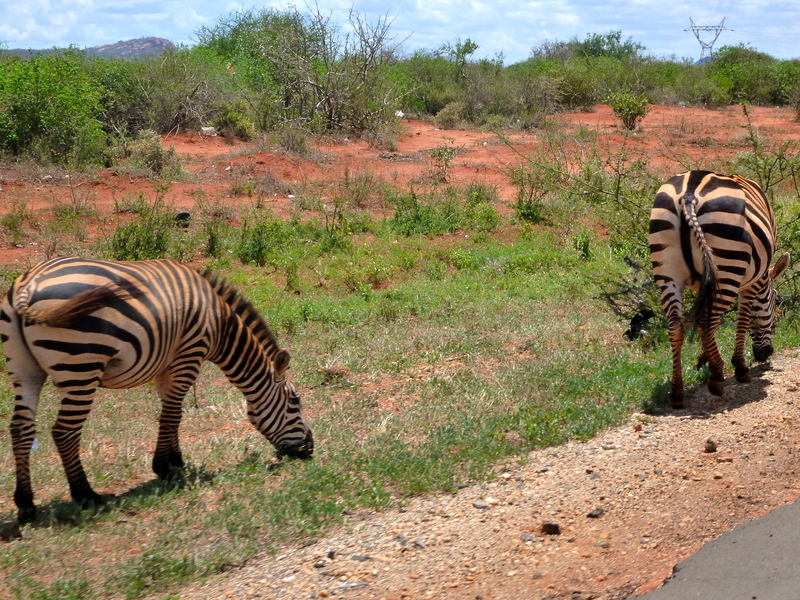 More zebras alongside the road. We were going to fast to get a photo, but I promise you, they were there and I saw them. Mom says we’re near the Maasai Mara so that’s why there’s zebras here. We’re now passing the Great Rift Valley overlook, but unfortunately it’s dark so we can’t see it. Luckily I got a nice view last year when we drove this way so I’m not too upset. I’m finally here in the Nairobi Hilton with some food and some water and I think that’s totally awesome. Mom’s too tired to type up all the stuff that I made her write down today after we lost our internet connection, but I promise I’ll make her fill in the rest of the trip with photos first thing tomorrow! Really?? I finally get to sleep now? Friday morning we were up early to head the rest of the way to Mombasa. Before we left, I made sure to get some photos of myself at the hotel for my blog. I wanted to get one of me in the window of the hotel overlooking the gardens so I had mom put me on the windowsill, but because I’m still just a puppy I got distracted by a cool bug and leaped off the ledge and into a giant bush to catch it. OOPS!! Anyway, mom came to my rescue and since we were only on the first floor, I was fine. After taking some photos, we were ready to begin the second day of our journey. 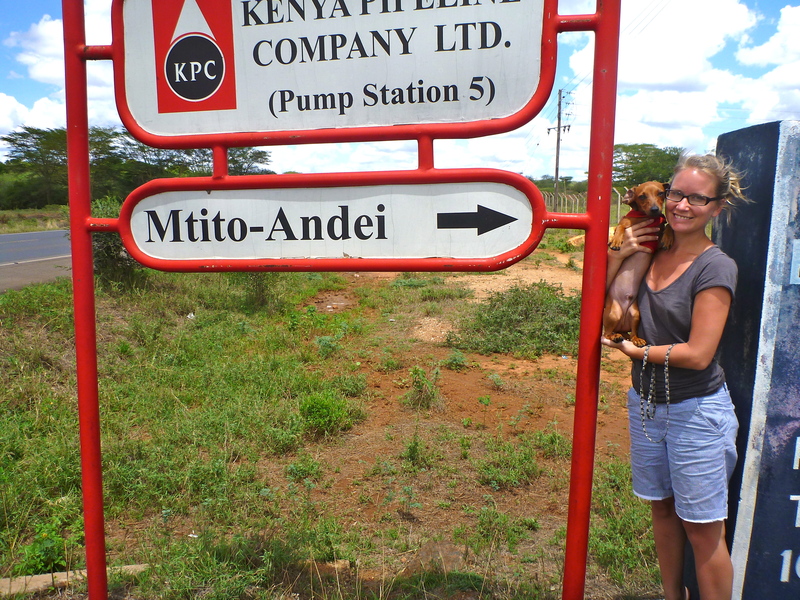 The first town we passed through after Arusha was Moshi. According to mom, they have yummy coffee there, so we stopped to get some for the humans. I met a baby human there and we got along so well, probably because we’re both young and so we can understand each other. Moshi is also where I had my first exposure to an animal called an elephant. Apparently, the elephant is the largest animal on land. I wonder, how can an animal possibly be larger than a cow? I must see a real-life version of this thing. 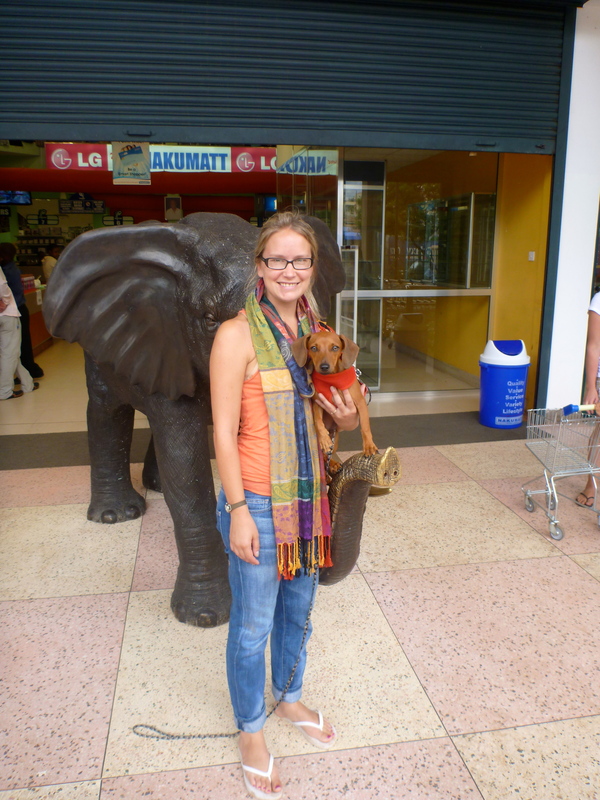 For the time being I decided to take a photo with the Nakumatt elephant. 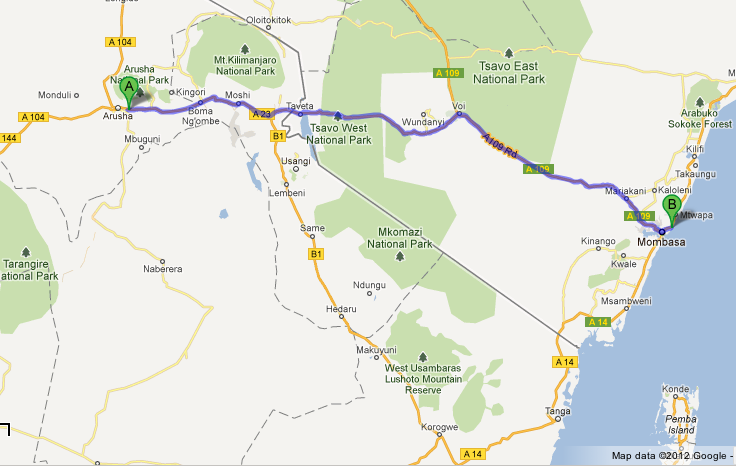 Just after Moshi, we crossed the border into Kenya at a town called Taveta. 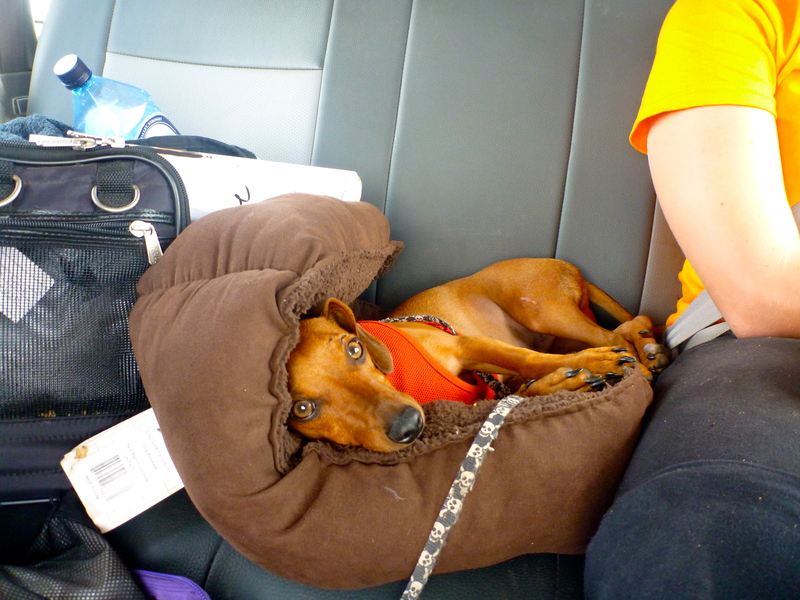 At the border, mom was being weird and forcing me to stay on the floor of the car and also telling me not to make noises. 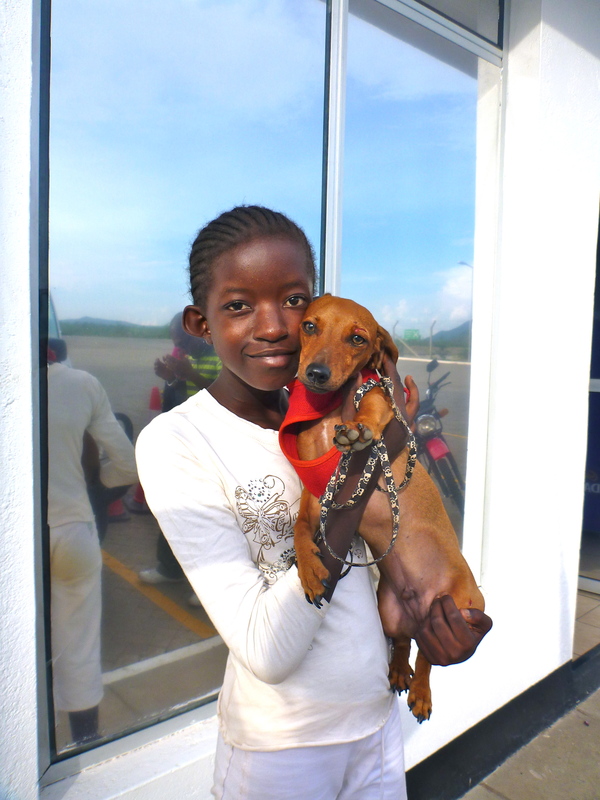 Later, she explained that she didn’t want any trouble from the border guards and so I was actually smuggled into Kenya! EXCITING! 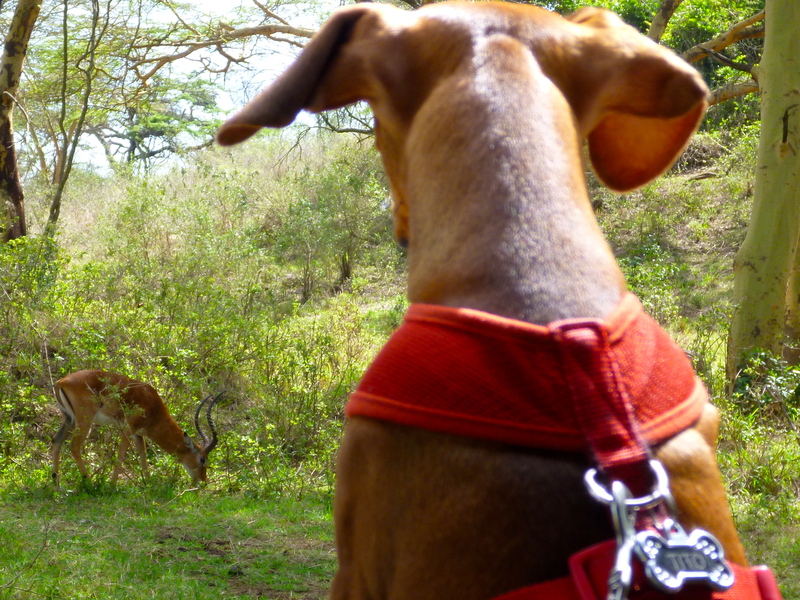 From the border, we drove on a bumpy dirt road through Tsavo West National Park and the Taita Hills Wildlife Sanctuary. This was the most exciting part of the drive because there were tons of new smells for me. I was bouncing around, from one side of the car to the other trying to take it all in. At one point in the wildlife sanctuary I caught a fascinating smell that I’d never experienced before. I jumped over to Mr. Marcel’s window and saw giant creatures, maybe the elephants that mom was talking about. I just couldn’t contain my excitement and it didn’t appear that the humans were going to stop so I decided to take matters into my own paws. I leaped out the window, ready to land on my feet and run to investigate the elephants. But, as I was flying through the air, my body turned and all of a sudden I landed hard on my back on the dirt and rolled head over feet at least three times. I really screwed up this time, because the car was now ahead of me and every part of my body was hurting. 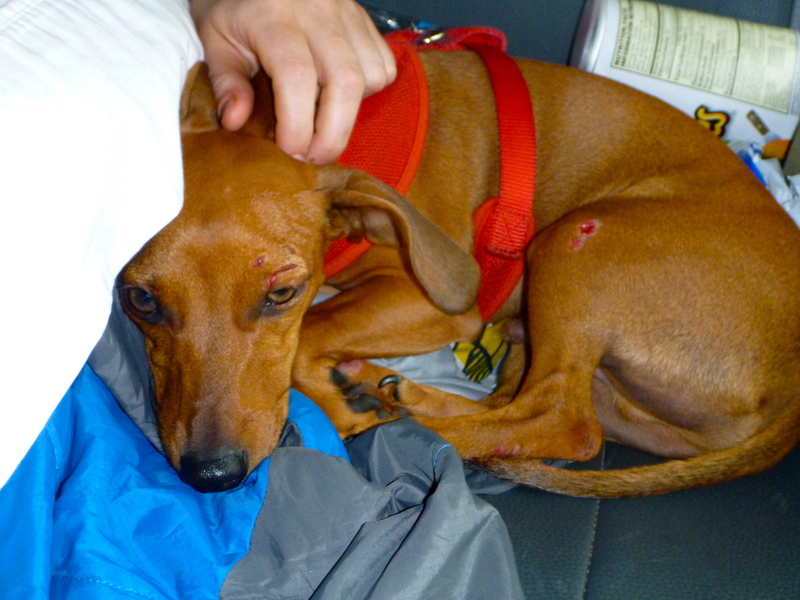 I stood up, ready to run after the car, but my hind leg was killing me and I couldn’t move. Then, thankfully, mom appeared, running towards me. She scooped me up and took me back to the car. There was fear in her eyes and she was checking me everywhere. 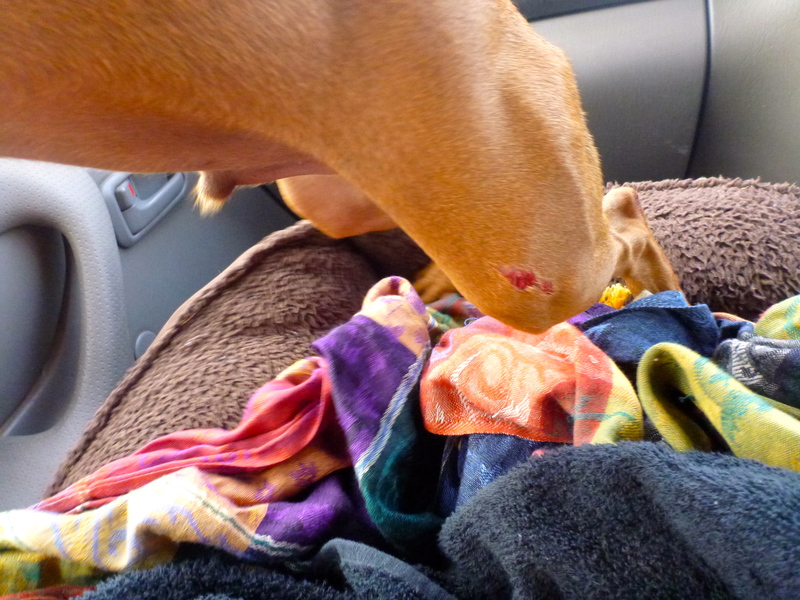 Red gooey liquid was flowing out of my scrapes and so mom bundled me up in a towel and hugged me close to her as we continued driving. The rest of the drive was a blur as I dozed in mom’s lap. 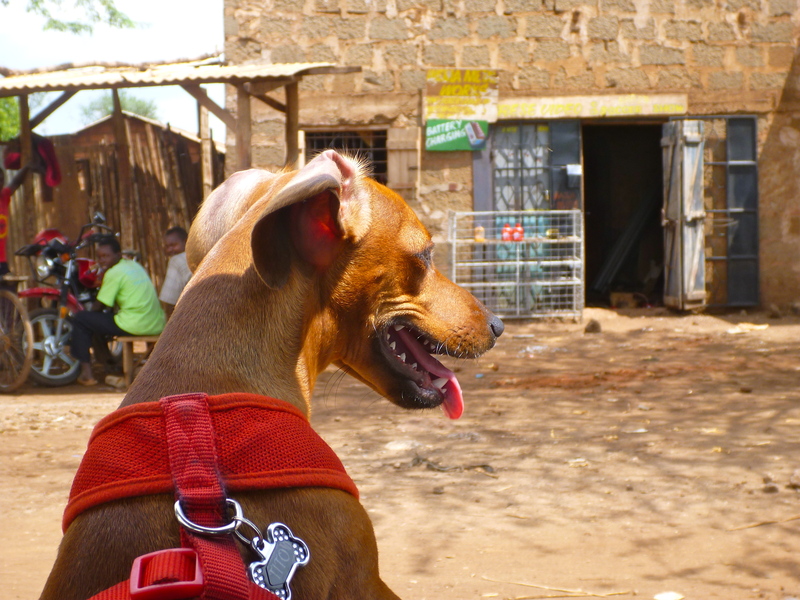 We stopped briefly in a town called Voi at the junction of the dirt road and the main paved road. 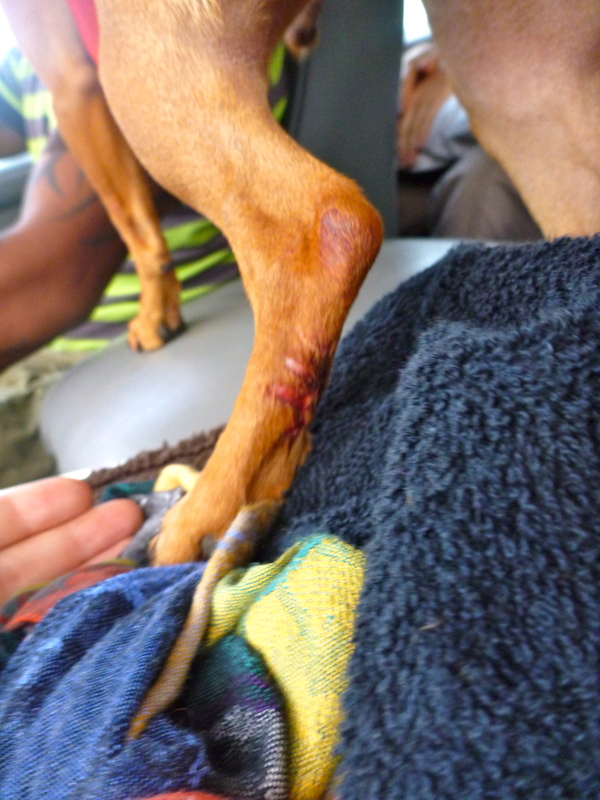 At the gas station, a young Kenyan girl was nice to me, despite my obvious injuries and for that, I was thankful. 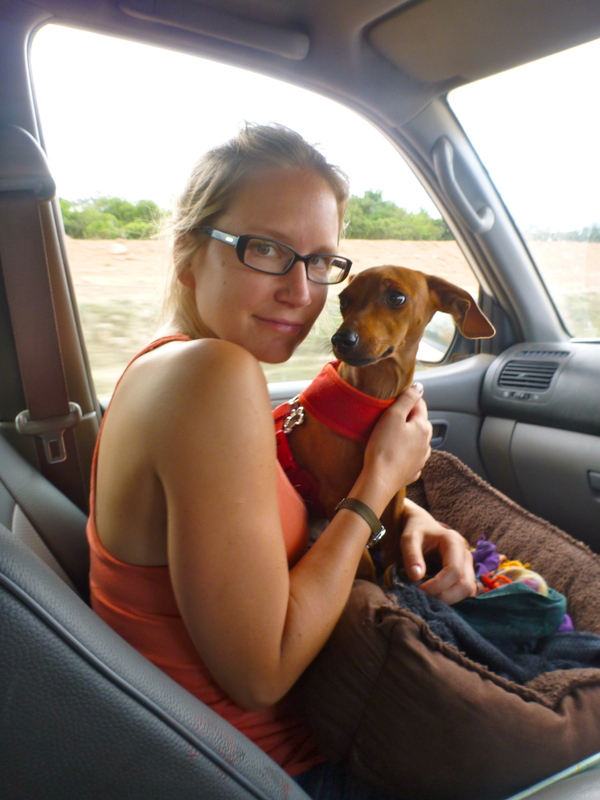 We arrived in Mombasa around 8:30pm and finally I could sleep on a real bed that was not bumpy or vibrating. 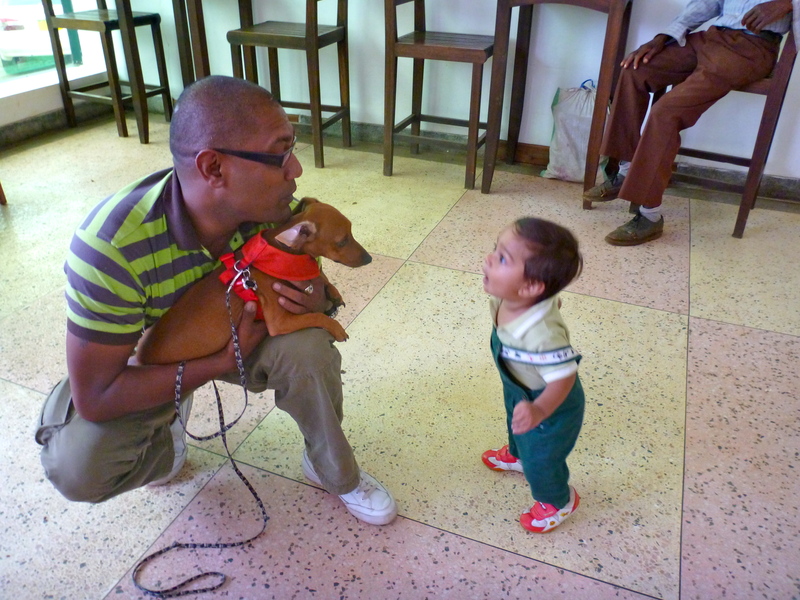 I needed rest so I could be ready to explore Mombasa in the morning. On Thursday, mom and Aunt Amanda started packing their bags and I got super nervous. Usually suitcases mean that people are leaving and I’ll be all alone, but I had a happy surprise because they packed my bag too! 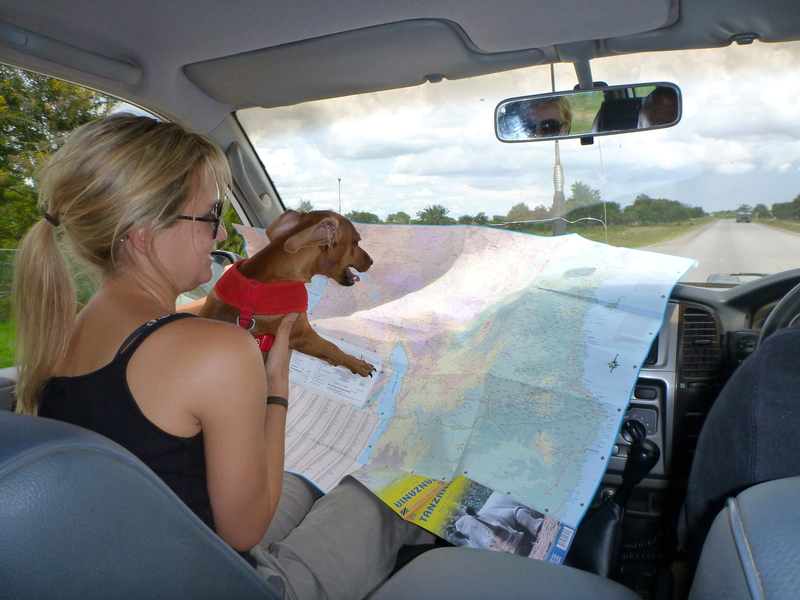 We set off in Mr. Marcel’s car around 12:30 in the afternoon and mom said we should be in another town in Tanzania, called Arusha, by about 7:30 that evening. My godfather, Tito taxi-driver, told her that he drives that way all the time and it only takes him 7 hours. 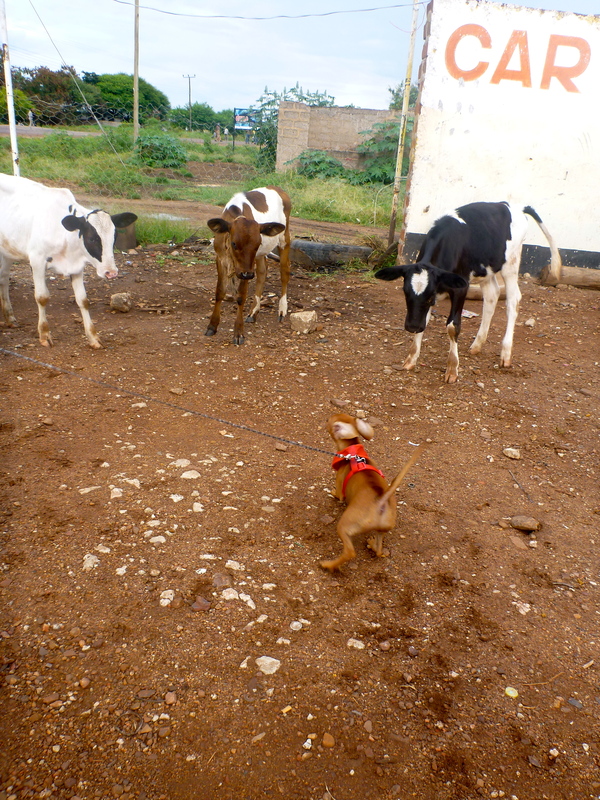 I was excited to drive because Tanzania is known for having cows everywhere along the roads and as you know, I LOVE COWS! 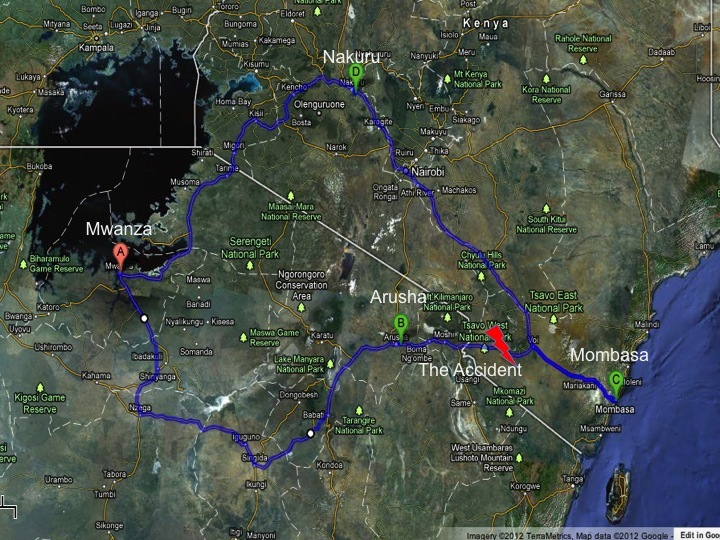 Mom showed me on a map, the way that we would drive from Mwanza to Arusha. It was hard for me to understand how it could take 7 hours to drive the length of my leg, but I assumed my mom knew what she was talking about. So, we drove, and we drove. After about 2 hours, we stopped for a potty break. Then we continued driving. And we drove, and we drove. Near Shinyanga we stopped at a store to buy more fuel for the car and also to get some drinks for the humans. Lucky for me there were 3 baby cows at the store and I got to hang out with all 3 of them. This was definitely the highlight of this part of the drive because playing with cows is way better than jumping around the car to see them for one second through the window. Around the time when mom thought we would have been to Arusha already, we realized that we actually weren’t very near to our destination. 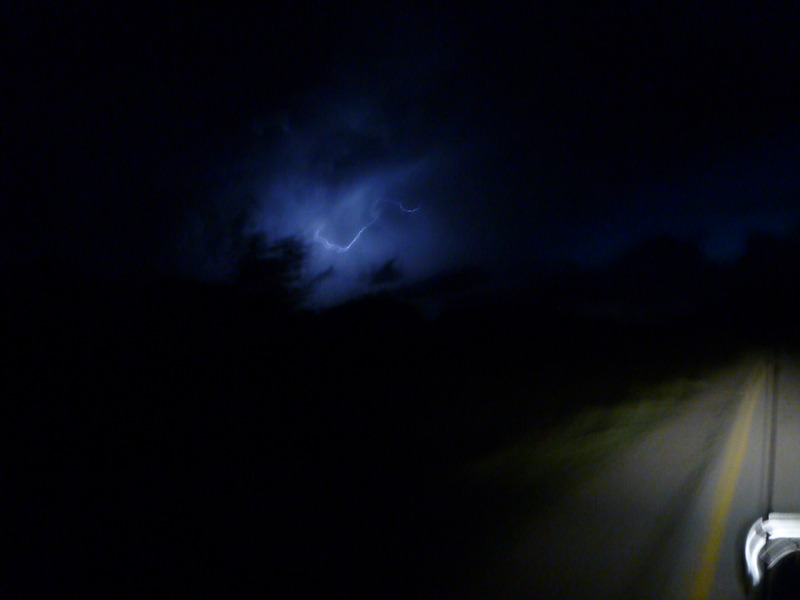 At this point, it was dark and there was lots of roadwork so we had to drive very, very slowly on the bumpy dirt roads. 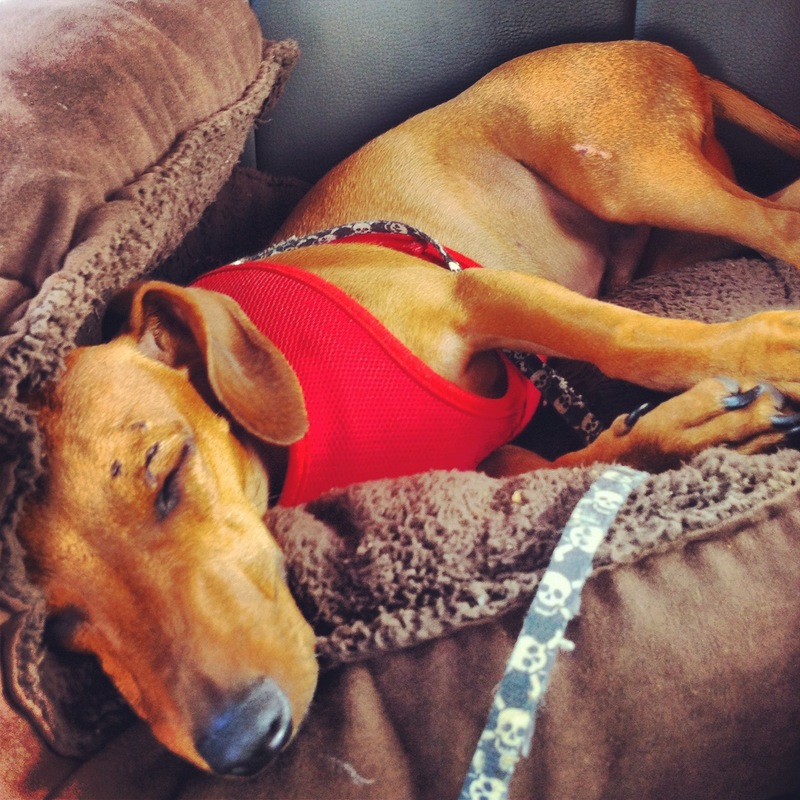 Lucky for me, mom brought my bed and put it in the back of the car so I could sleep, but the humans weren’t quite so lucky. 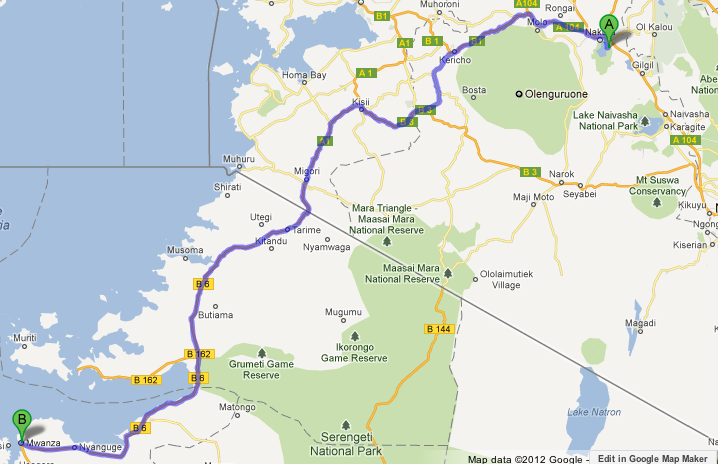 Eventually, around 12:30am we reached the Snowcrest Hotel in Arusha. 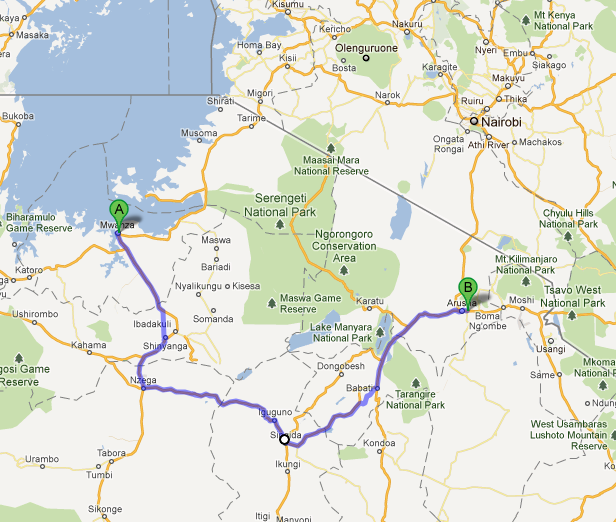 That means that it took us 12 hours to reach Arusha! 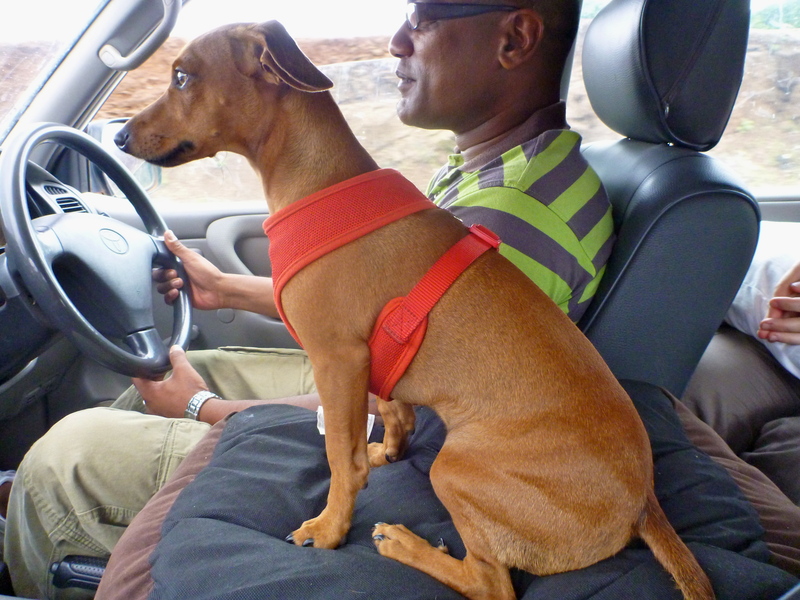 Two-legged Tito must drive really super fast if he is able to reach there in only 7 hours! 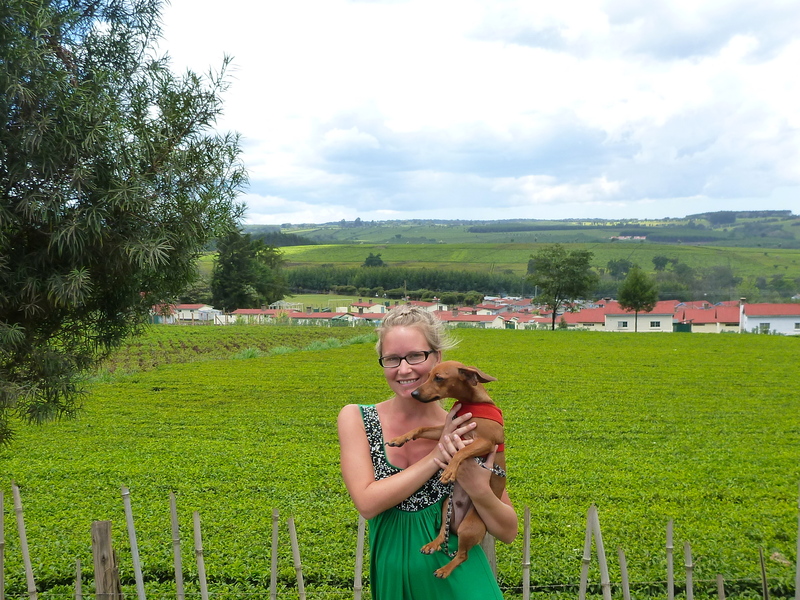 I just returned from the coolest adventure and there’s so much to tell! I’ve made a little map for you all to see a summary of where I’ve been, and I’ll write more about each bit of my adventure this week. So much happened, I don’t know where to start, but I’ll try to tell my story over the next couple days, STAY TUNED!